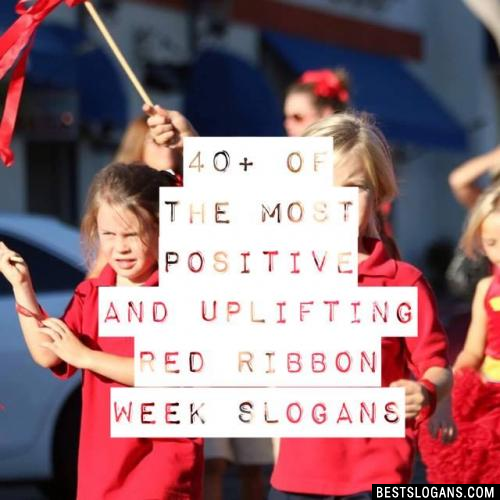 41 new entries added to red ribbon week slogans, that include pictures. 1. 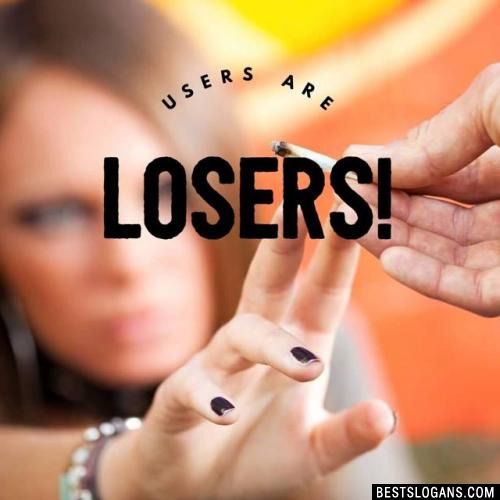 Users are losers! The National Family Partnership estimates that more than 80 million people participate in Red Ribbon events each year. Red Ribbon Week educates individuals, families, and communities on the destructive effects of alcohol and drugs and encourages the adoption of healthy lifestyle choices. The campaign is a unified way for communities to take a stand against drugs and show intolerance for illicit drug use and the consequences to all Americans. Wearing a red ribbon during the last week of October has come to symbolize zero tolerance for alcohol, drug, and tobacco use and a commitment to substance abuse prevention. Schools, businesses, the faith community, media, families, and community coalitions join together to celebrate Red Ribbon Week in many ways, such as: sponsoring essay and poster contests; organizing drug-free races; decorating buildings in red; handing out red ribbons to customers; holding parades or community events; and publicizing the value of a drug-free, healthy lifestyle. 3 Say no to DRUGS and yes to PUGS! 4 You cant hang with me unless youre drug free. Too smart to start. 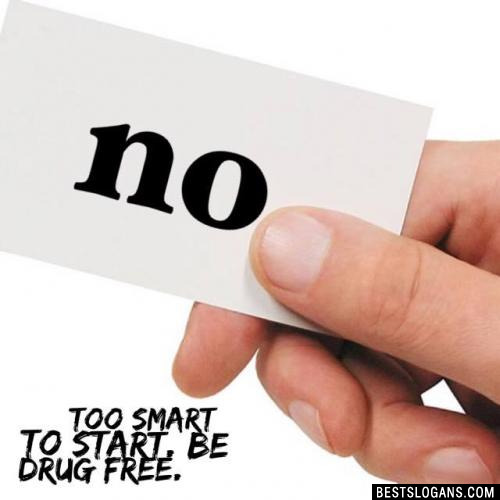 Be drug free. 6 Thug free, Drug Free, Just being who I want 2 be! 7 The only pot you should be looking for is at the end of the rainbow! 8 The best me is drug free. 9 Take a Stand for a Drug Free Land. 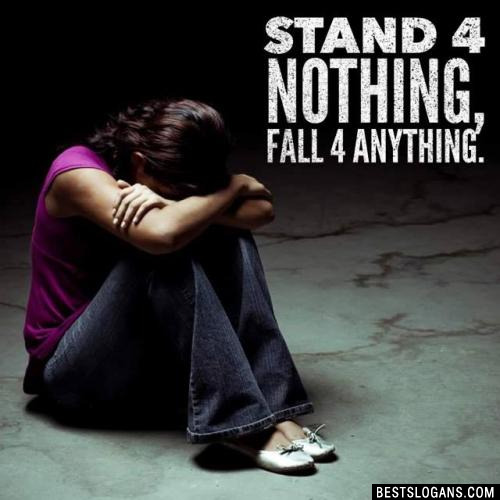 Stand 4 nothing, fall 4 anything. 11 Soaring to new heights drug free. Smokin Pot WONT make you Hot! 13 Slam Dunk, Drugs are Junk. 14 Look at me, Im drug free. 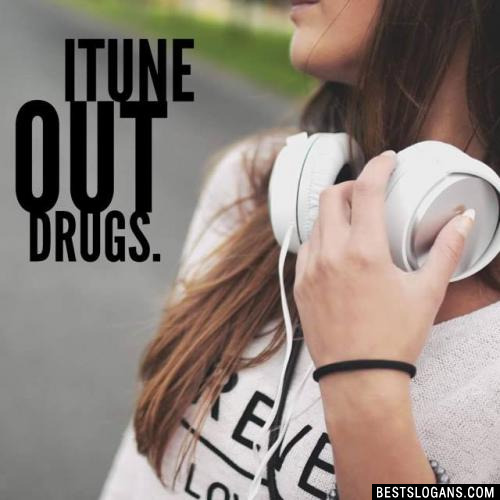 15 Life is my anti-drug! 17 Its up to me to be drug free. 18 Its no lie, drugs will make your mama cry. 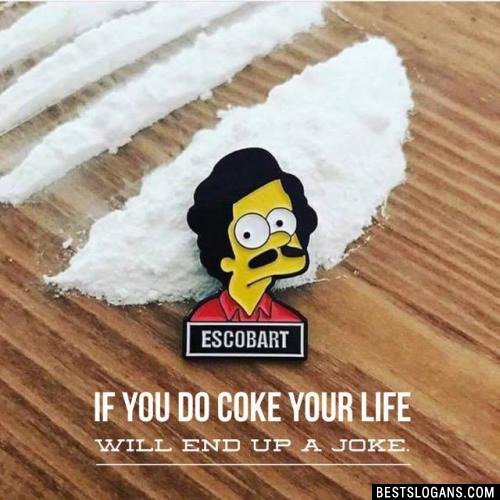 If you do coke your life will end up a joke. 20 Ive got too much swag... using drugs is a drag! Can you think of a good Red Ribbon Week Slogans we're missing? Or come up with a clever one of your own. Please share below.